Soil and plant nutrition specialist, Mark Plunkett, joins Emma-Louise Coffey on this week's Dairy Edge podcast to discuss the upward trends in soil fertility across Irish soils. Mark highlights the increased lime usage, resulting in a greater proportion of soils at optimum of pH 6.3 or greater and explains that optimum pH gives rise to improved nutrient uptake and consequently, higher grass production. While Phosphorous and Potassium levels are improving on farms, there is still a lot of room for improvement. Mark reminds us to be aware of the changes in the allowance of Phosphorus, with an additional allowance of build-up Phosphorus for index 1 and 2 soils. He also noted that 2019 Phosphorus allowance will change for farmers as a consequence of the increased level of concentration supplementation throughout 2018. While Potassium use is not limiting on farms, Indexes remain low on many farms and Mark reminds us of the significant off-take of Potassium from silage cutting. Baled silage is a component of grazing systems which means unlike grazing, nutrients are not recycled back onto the land. 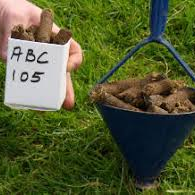 He recommends that each farmer takes a look at soil sample results and make a fertiliser plan, targeting fertiliser use to the needs of your soils.